So, August is over! Time is flying by, isn’t it? I can’t believe that the month is over, I mean, wasn’t it just yesterday when I placed myself under the book buying ban and I was still wondering if I would survive the said ban? It feels like yesterday. Or it could be that I have been whining about it so much (almost everyday) so it feels like yesterday. Probably because I probably whined about it yesterday. No, wait, I don’t think I did? Ugh. Anyway! So to start with, I am continuing with my Duolingo lessons which yay! It means that I am not slacking off, always a good thing. I have also been listening to audio lectures. I have finished listening to Greek Tragedy (The Great Courses) and have started listening to Masterpieces of Ancient Greek Literature (The Great Courses) and so far, it’s been interesting and fun to listen to! I think I will always gravitate towards the antiquity and I am not sure why. There’s this weird fascination I have towards it that I still can’t explain and living in India, it makes no sense when there’s so much mythology of our own. Oh, well. I also started to listen to podcasts this month. Yeah. I am just rocking right now. Also found some really good bookish podcasts too! 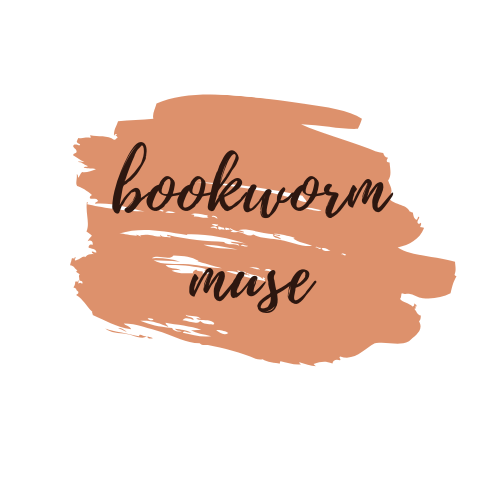 In another bookish news, I kinda redid my bookstagram? I started a ‘theme‘ and it helped, I think. People are more willing to look at my account and follow it. Always a good thing, right? I also admit that I started the theme because I was just swooning over other people’s themes because these people, they have their aesthetic on point. Seriously. I am going to change my theme because I have some ideas as to how I want my account so there’s that. A little work on my account and I have ideas as to how I want it. That’s growth, I hope. Now, onto even more bookish news. I did some tags, I talked about my ARCs as well as cover buys and I read a few books this month, not a lot but the ones I read were really good. It was a slow month for me. I made some strides to conquer my tbr so there’s always that victory. Also, I have realised something. I think I can follow the whole monthly tbr thing. I mean, to an extent. Anyway, let’s get into what I read this month! If you loved Uprooted, you will love this one as well, perhaps, even more than Uprooted. If you love fairytales that are subverted and made into a whole new brilliant tale, then this is the book for you. If you like strong female characters, magic and actual character growth, then please, go and read this book. Every little bit was wonderfully written and I had to give this one a solid 4.5 stars! I took away the other .5 because some parts of the book sometimes felt unnecessary. It’s Brandon Sanderson’s first novel, and it blew mind with how good it was. Seriously. I can’t wait to read more of his books. The magic system was good, the characters were great and just…it was a delight to read, ok? If you haven’t read it yet, just go and do so. What are you waiting for? A really action packed book and with such a strong main character and her incredible AI. Seriously, I wasn’t expecting to love this book as much as I did. It snuck up on me and I literally couldn’t put it down because I had to know what was happening. It’s fast paced and full of weird things that I loved reading about. As a sequel or rather a companion novel to Love & Gelato, this really worked. I really loved the sibling bonds and Ireland and Rowan was a precious cinnamon bun, ok? The author’s writing is so easy to fall for and engaging too which made this such a good read. Can’t wait to see what the author brings next. An absolutely intriguing and attention grabbing book that talks about the mental health of one of the characters, of country life in 1930s in England and about growing up. It’s all written and handled so damn well that I can’t help but love it. I would absolutely recommend it to people who love historical fiction and those who would favour a seemingly pastoral novel that turns into something else entirely by the time we finish the book. This book basically has it all. There’s an alien invasion, there are special powers, there’s political intrigue, crime and a revolution! All set in Nigeria in a future where everything’s flipped. I am not sure how to categorize this but if you love science fiction and horror along with some really interesting themes then this is the book for you. It’s gripping and engaging and frankly, I wasn’t expecting to like it as much as I did. The City of Brass was one of my favourite reads of the year and I can’t wait for the sequels! An absolutely fantastic debut and start to a trilogy by S. A. Chakraborty. Fans of fantasy and political intrigue will definitely enjoy this book. If you haven’t read it yet for some reason, don’t waste any more time, just go and read it. It’s really good! This was a re-read for me and I loved it just as much as I did the first time. I really love Ari and Dante is precious, ok? There’s no other word for it. Also, I don’t think I need to say a lot about this book because it is a favourite of so many people and rightfully so. Let’s just say I thoroughly enjoyed the book, ok? And that was August for me! Even though I didn’t read a lot of books, I think I read some really good ones that it’s okay. After all, it’s not about how many books read but more about what you read, right? 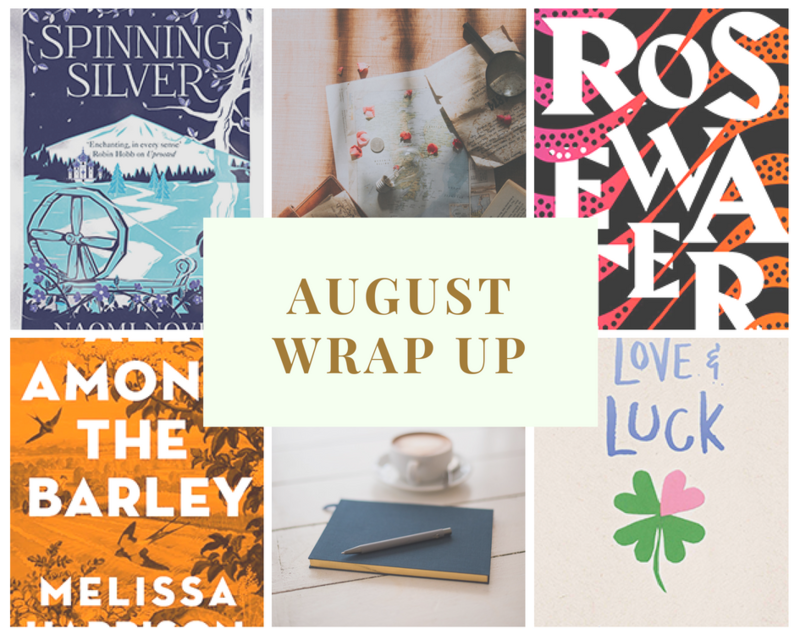 And looking back at my August TBR and Current Reads post, it’s clear that this monthly tbr thing works in great percentage. So, I am gonna give it another go. I will do this till the year end so that I can see how much I succeeded and how and why I failed if I do fail. So, that’s a thing to look forward to. So, have you read any of the above books? If so, do you agree with my rating or do you have some objections to that? Always love a good discourse. I do have to say that this month was pretty good in terms of book ratings, no book under four star rating. Either the books are really good or I was in far too good a mood. Overall a good month I would say. Tell me how your month went bookish or otherwise. *Disclaimer: This post contains affiliate links, which means I may get a small commission for purchases made through this post. Love the instagram account! I always have mixed feelings about sticking with a theme. I like it in theory and it seems to work for other people, but I feel like if I attempted it, everything would just look too uniform and boring, rather than just having a good flow, you know? Thank you! And yeah, I understand your concern because I had the same concerns. However one thing I have noticed is that I am becoming better at taking photos because of this. The day it starts being anxiety inducing and I don’t find it fun, I wouldn’t really do it. Oh, gosh, you really should! I am sure you won’t be disappointed. Awesome job keeping up with Duolingo. I always fall off with it because I have other things on my to do list that are due. Some is a lot better than none. I love City of Brass and Spinning Silver. Eventually I’m going to read Aristotle and Dante Discover the Secrets of the Universe. Yay, glad you liked them and gosh, I can’t wait to hear your thoughts on Aristotle and Dante.